Major Gerald Nolekin Horlick (Royal Gloucestershire Hussars) dies at age 30 in Egypt. He is the son of ‘Sir’ James and Lady Horlick. Second Lieutenant John Wycliffe Thompson (Dragoon Guards) dies at a nursing home in London at age 42. He is the son of Major General Charles William CB DSO. 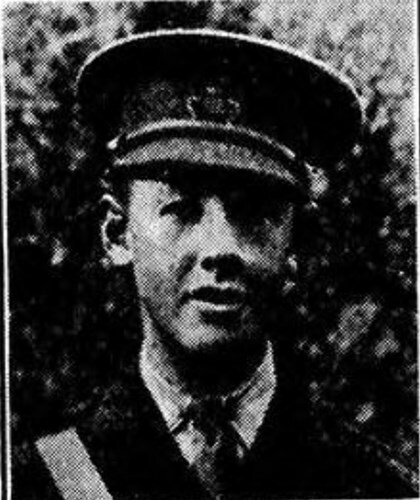 Lieutenant Noel Rawstorne Wilkinson Kay (Royal Horse Artillery) dies of wounds received in action at age 20. He is the son of Captain Harry Wilkinson, of the Ministry of Pensions. Private Sidney Simpson MM (Royal Army Medical Corps) dies of wounds at home. His brother was killed in May 1917.